 The Business Advisory Council is a networking organization that creates employment opportunities for clients of The Arc San Francisco. With 14 members from both local and national companies, the BAC is influential in educating the corporate sector about the value and benefits of employing people with developmental disabilities. The group meets monthly with The Arc employment specialists and individual client prospects seeking to enter the workforce, offering guidance and job leads for possible placements. The BAC sponsors the annual WorkLife Awards celebrating our clients in the workforce and the companies who champion their success. This signature event recognizes superior job performance and also long-tenured employees who have from 5-20 years with the same company. For more information, contact Kristen Pedersen, Director of Employment Services, at (415) 255-7200 x103.